on the 1st September ..... I made it! and get some one on one tips. 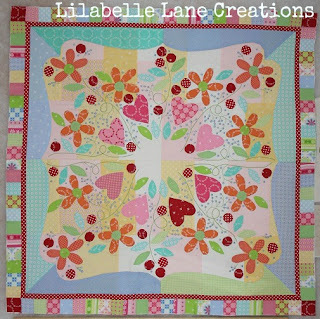 and turn my loose blocks (well the first three rows) into this. Glenn is a little taller than me so he can get a better overhead shot (below). Now to go work on these corners and finish setting up my space. It really is beautiful Sharon!!! It's looking beautiful Sharon. Hang in there with the needle turn. I used to hate it too, but love it now. It really helped to watch an expert. Wow.... it's gorgeous! You deserve a medal for keeping Vignette on track and up to date while there is so much else going on in your life. I'm so impressed.... do you give life lessons by any chance... sign me up! it is looking so good. 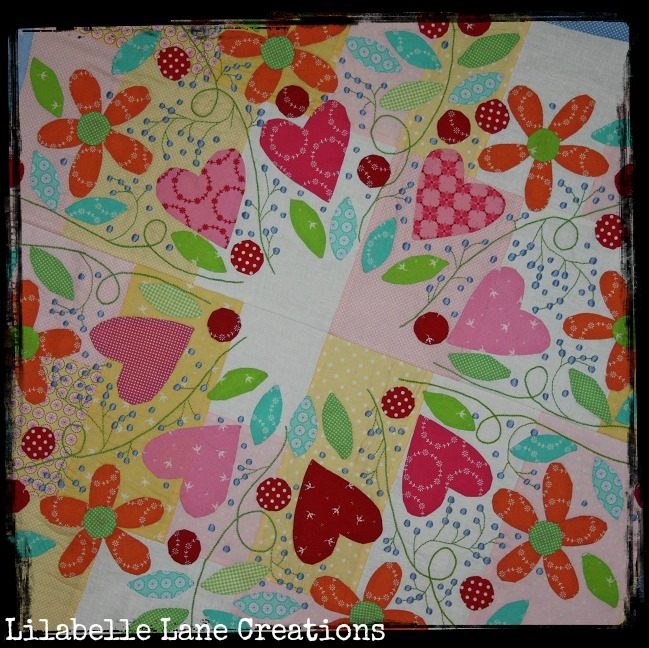 I sat down last weekend and began to cut out my linen to begin to trace the designs. 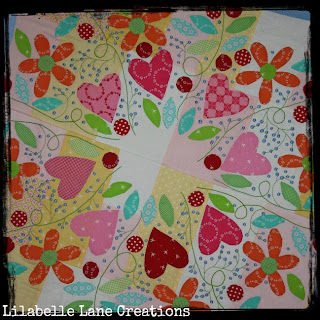 It is looking gorgeous, you have done so well keeping up with this one, so much stitching!! Very inspiring. Absolutely breathtaking! It is amazing. WOW looks fantastic...must get mine out and do some work on it. Looking gorgeous Sharon!!! And your needle turn looks perfect, so whether you enjoy it or not, you've certainly mastered the technique!! 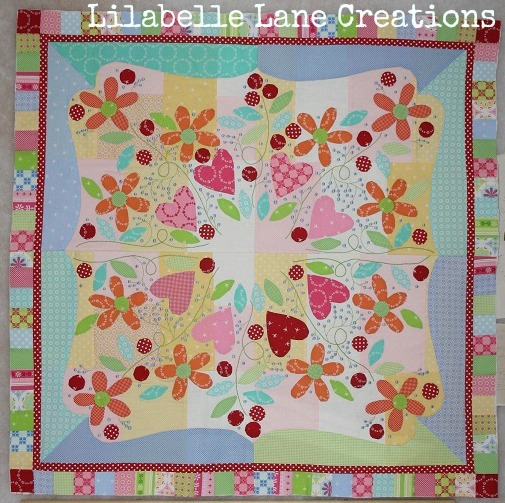 This is such an amazing quilt, I would be too scared to make it for fear that it would be ruined!! REALLY enjoying watching yours come together though! Keep up the good work - you'll be so proud of yourself once it's finished!!! Hugs! Your Vignette is looking beautiful. I think your needleturn skills look amazing. Very inspiring! It is absolutely gorgeous!! I may add it to my list oneday but all that stitching is puttting me off...loving the centre block, well done! wow - it is beautiful!